1) A good mattress. Sleeping well and sleeping enough benefits people of all ages, but for children it is especially important as sleep can directly impact mental and physical development. Over the summer months bedtimes and wake-up times typically become more flexible, so getting back into a routine a few weeks before school starts will help ease the whole family back into the rhythm of quality sleep. With twin mattresses starting at $400, we have a bed for every budget. If you want to do some research, check out Stearns & Foster and Therapedic – these mattresses are all made in the USA and shipped directly to us here at Furniture Walk. 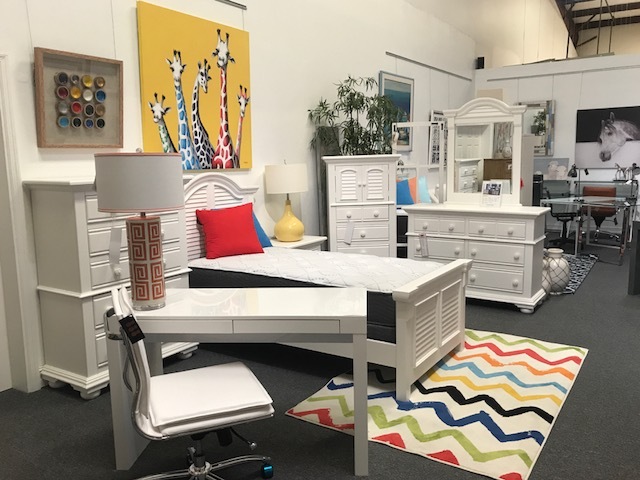 We stock every size and stand behind our beds with a local warranty. Essential to any mattress is some protection. Try our Prime Terry mattress protectors from Malouf. They feature a hypoallergenic and absorbent cotton terry surface that sleeps comfortably, (no crackling plastic sounds), with a liquid-proof membrane which creates a quiet, and breathable barrier against allergens and dust mites. Take a look here to see the full line of Malouf products that we carry. 2) A functional desk. 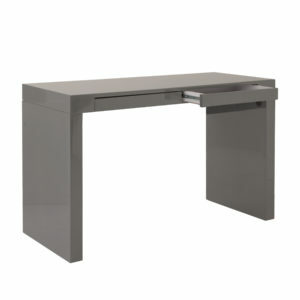 When function and form come together like with the sleek Diego Desk, it simply can’t be improved. If it’s a bit more stowage you’re looking for, try the Donald Desk. At almost 4 feet wide it’s plenty of desk for most tasks. The double drawers are handy and almost hidden. 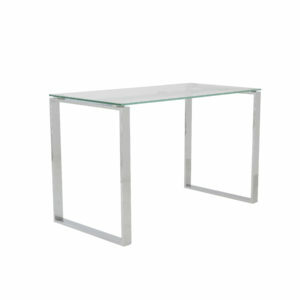 The desk is only 20” deep which makes it perfect for smaller spaces. 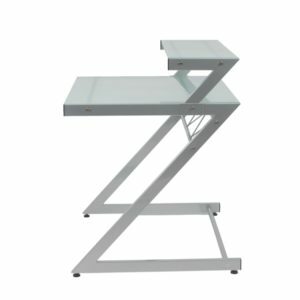 The Z-Desks have been a long time favourite – The ‘Z’s are the structural sidebars of this remarkably strong desk. Top and main shelves are durable tempered glass and the cross bar is reinforced with angled spars. Perfect for heavy thinking. 3) A comfortable chair Designed to fit your seat, your back and your work style, with natural ventilation, the Bungie chairs turn long hours of work into the comfort zone. No napping! 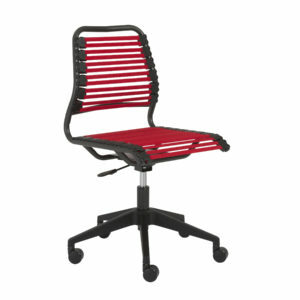 Bask in cool comfort at home or at the office in the stylish Baba Flat Low Back Office Chair. Sturdy, stretchy, flat bungee straps support the contours of your back. Adjustable armrests, seat height and tilt complete the experience to provide you with superb comfort for hours without back stress. 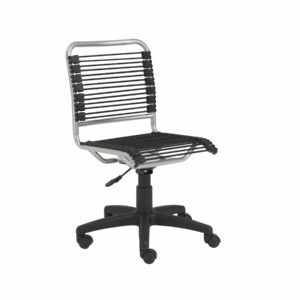 With the Gunar Pro chair the five-leg pedestal on wheels is reliable and sturdy no matter how you roll. The rest is pure style. 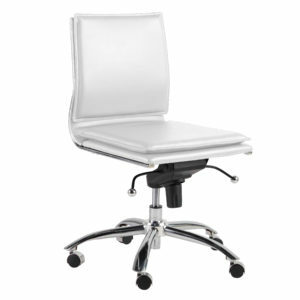 The feel of leather and the easy-to-use tilt mechanism are perfect when you want to lean into your work in comfort. As the days get shorter and the homework pile gets higher, give your child the best chance to get their assignments done by creating an appealing environment for them to study and succeed in at home. A serene study space paired with a good night’s sleep, will help your family get “back to school” ready in no time and you will drift off to sleep with the memories of a summer well spent to sustain you until the next holiday season!